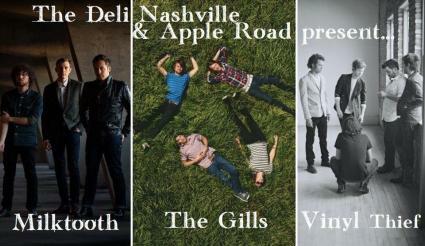 We're excited to announce that, on April 26th, we will be bringing our latest party to the Stone Fox in west Nashville! 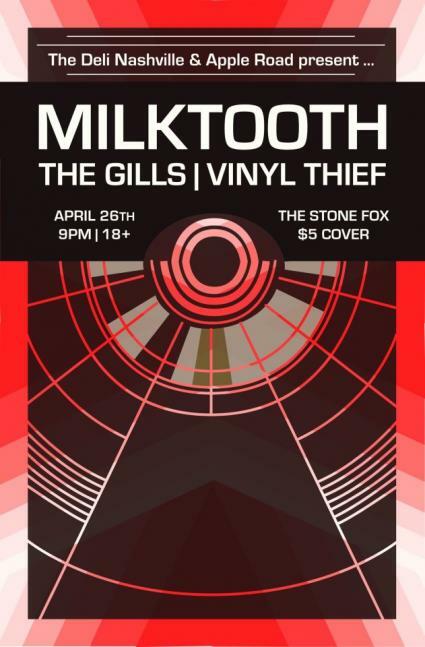 Partnering with Apple Road (the media family behind our beloved East Nashville Underground), we are bringing to the stage Milktooth, The Gills, and Vinyl Thief! 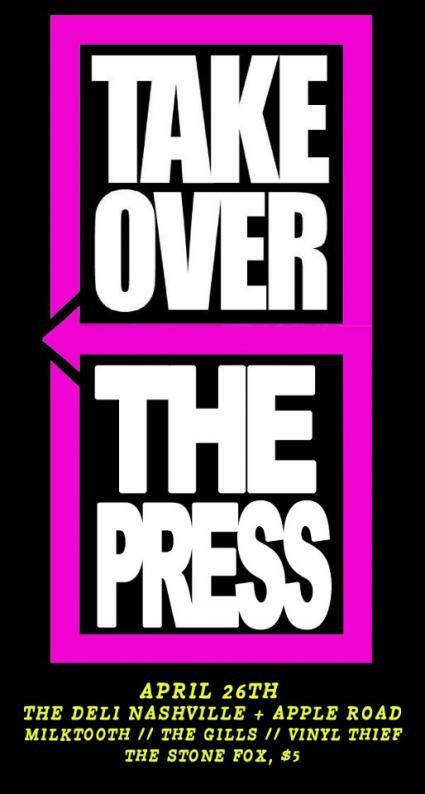 Over the course of the next two weeks, we'll help you to become acquainted with the bands who will be ruling the stage throughout the night. First up, we have Vinyl Thief, the electro-rock four-piece who are recently home from a successful run at SXSW. 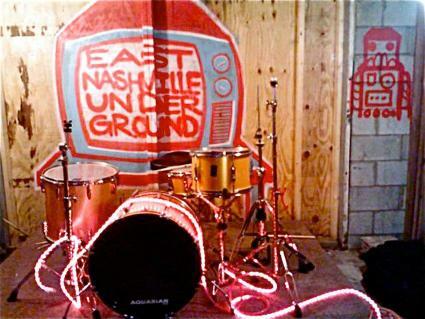 Though the band has been around for a few years, they have been making a lot of noise over the past few months, from their fantastic set at East Nashville Underground, to their performance at Road To Bonnaroo, to their stop at OurVinyl, where they performed the three songs from their Rebel Hill EP, including "Faces," which you can watch below. Details about the show are available here, and we can't wait to see you!